The Pasadena real estate community recently came together to help one of its own. Coldwell Banker Residential Brokerage Pasadena / La Cañada Flintridge held a “Fun” Raiser for Lily Cosby, agent Marisa Cosby’s 6-year-old daughter, who is currently in treatment for leukemia. There was a massive groundswell of support, not only from the Coldwell Banker family, but also from other local brokerages, including Podley Properties and Keller Williams as well as other business and organizations, including the Pasadena-Foothills Association of Realtors, InterValley Escrow, West Coast Escrow, Outlook Newspapers, Smith Brothers Restaurants and Houston’s Restaurant. 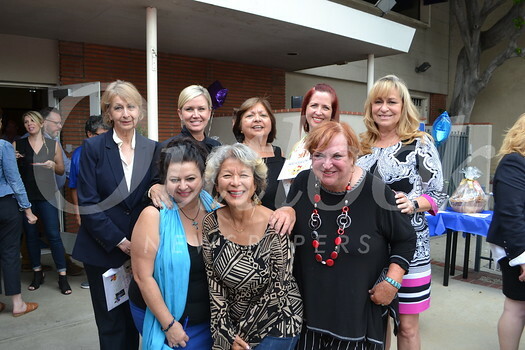 The event was a huge success, and the Cosby family was incredibly moved by the outpouring of love and generosity demonstrated by fellow agents, staff and Pasadena businesses.